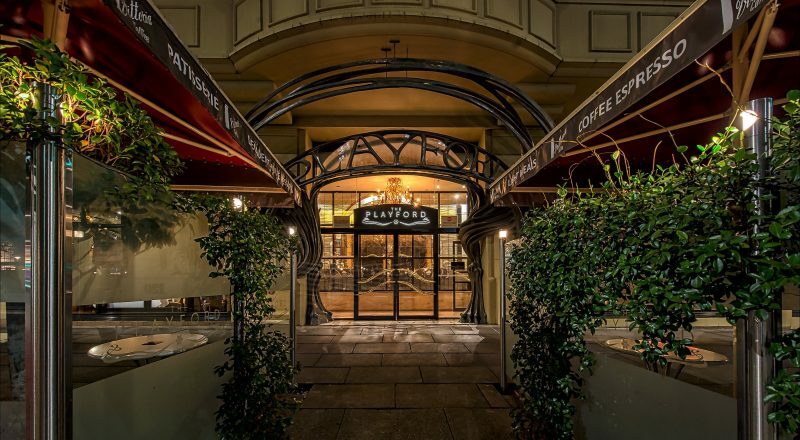 Set in the heart of Adelaide, on North Terrace, the specialist five star boutique Playford provides the perfect choice for your conference or event. 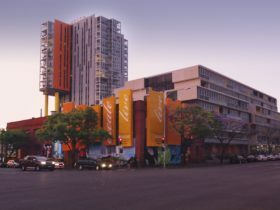 Located opposite the Adelaide Convention Centre and minutes from Adelaide’s major retail and restaurant precincts. 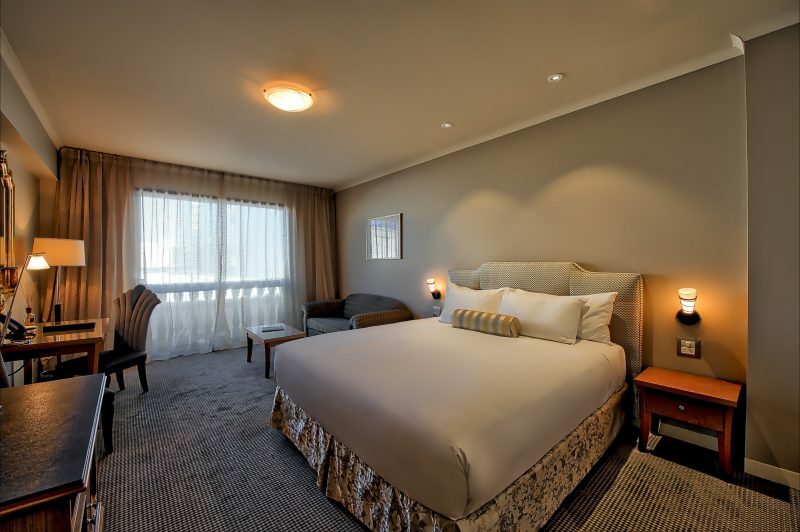 Having recently received the Australian Hotels Association award for Best Deluxe Hotel Accommodation in South Australia, we pride ourselves on maintaining a truly exceptional guest experience. 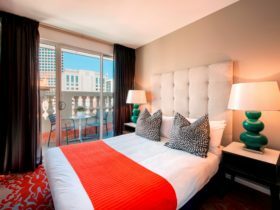 The hotel offers 182 luxury guest rooms including Studio Spa’s and New York loft style suites, along with the unique tiled rooms. 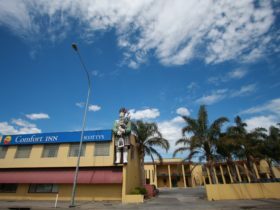 The hotel has an extensive range of business and leisure facilities, a fully equipped business centre, 24 hour health club and a Tuscan style indoor pool with sauna and spa. Classic and elegantly presented, our first floor function rooms provide a perfect setting for dinners, cocktail reception and private parties. 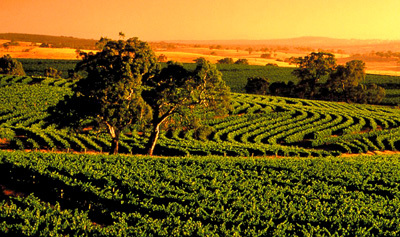 Our dedicated conference specialist team assists with any enquires from 10 to 500 guests sharing with you our innovative cuisine incorporating fresh South Australian ingredients and an extensive selection of local wines. The hotel focus is to provide restaurant quality cuisine to all delegates, a commitment that has earned the venue a well deserved reputation for innovative and high quality conference catering. Stunning and spacious two bedroom suites feature separate lounge with flat screen televisions and kitchenette. Bedding configuration is two king size beds. Additional bedroom area features television walk-in ensuite, stand alone shower and separate spa bath. Boutique teas, coffee and hot chocolate available. . Other Room features include: air-conditioning; Fox channels; pay movies; mini bar; kitchenette; high speed Internet; Playstation; tea/coffee making facilities. Deluxe guest rooms containing enhanced amenities and furnishings. 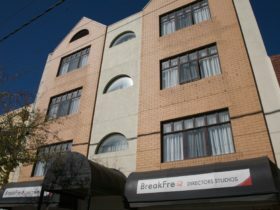 Featuring increased living and sleeping space, and are located on higher floors. Flat screen televisions are fitted in all Deluxe Guest Rooms. Bedding configuration is a King Size Bed. Other Room features include: air-conditioning; Fox channels; pay movies; mini bar; high speed Internet; tea/coffee making facilities. 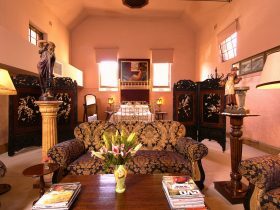 Relax in award-winning luxury accommodation, our wonderfully detailed hotel rooms provide classical elegance and style. Boutique teas, coffee and hot chocolate supplied in the room. Bedding configuration is one queen size bed or two queen size beds in a twin room. Other Room features include: air-conditioning; Fox channels; pay movies; mini bar; high speed Internet; tea/coffee making facilities. Stunning and spacious studio spa suites feature separate lounge with flat screen televisions and kitchenette. Bedding configuration is one king size bed. Additional bedroom area features television walk-in ensuite, stand alone shower and separate spa bath. Boutique teas, coffee and hot chocolate available. . Other Room features include: air-conditioning; Fox channels; pay movies; mini bar; kitchenette; high speed Internet; Playstation. The unique ‘New York Style’ Loft Suites offer split level spacious accommodation. The bedroom is situated upstairs and the living area is situated downstairs and the elegant appointed bathroom features a spa bath. Bedding configuration is one king size bed. Other Room features include: air-conditioning; Fox channels; pay movies; mini bar; kitchenette; high speed Internet; Playstation; tea/coffee making facilities. Baby cots free of charge.